The Doubleclicks delayed today’s comic. I’ve blogged about their fantabulous new song over on my author site. I had a different comic ready to go, but I couldn’t quite get to it before I had to run out the door… and then when I got home the Things had something to add (in part thanks to excellent internet/facebook/twitter to chat). 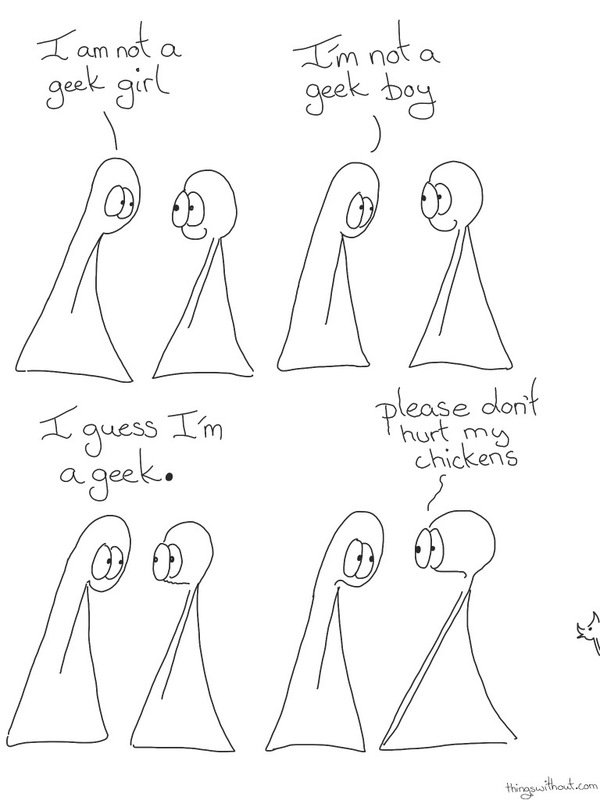 If geeks and chicken consumption is a surprise you may find this interesting. If one of the Things neither being a geek boy or girl feels a little strange you can read about their pronoun preferences.